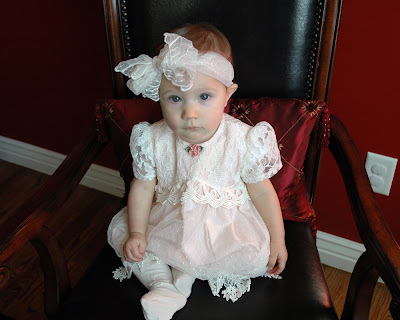 A few Sundays ago we dressed Ava in a dress handed down to her by her Aunt Maddie. 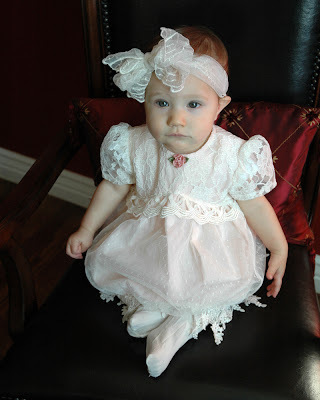 Ava looked absolutely lovely as you can see. 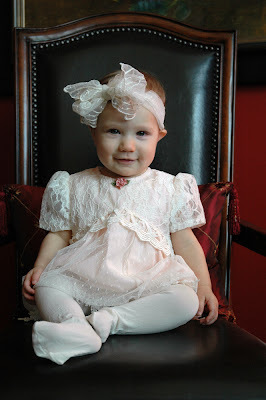 Ava really loves playing with her Aunt Maddie and was honored to wear one of her old church dresses. 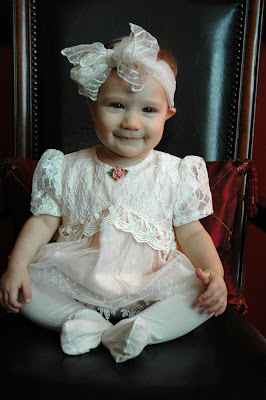 She thinks Aunt Maddie is especially cool because she has so many fun dolls and a really fabulous playroom. She secretly hopes that Aunt Maddie will give her one of her dolls. How can you say no to those big puppy dog eyes? LOL...what a good post...I'm sure she'll get something out of it!! She's so cute...and has such funny expressions!! !